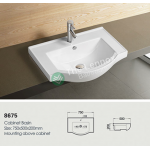 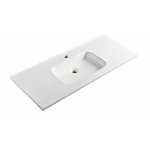 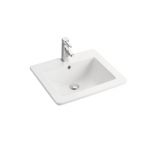 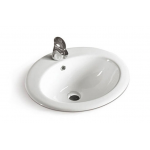 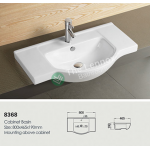 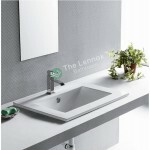 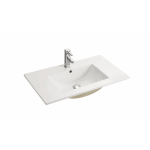 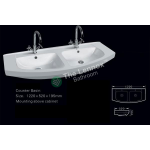 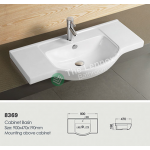 The round inset counter top basin with tap ledge features a stylish contemporary shape, designed to be mounted onto a worktop console or piece of vanity furniture. 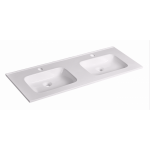 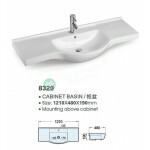 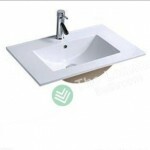 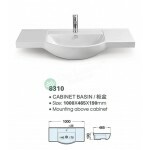 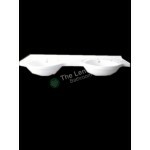 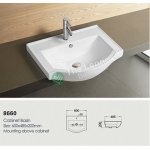 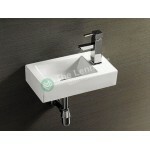 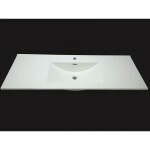 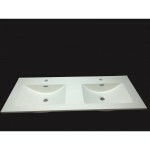 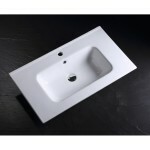 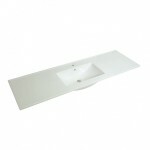 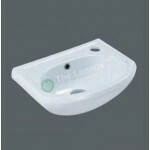 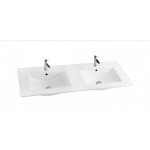 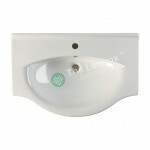 Manufactured from ceramic with a quality white gloss finish. 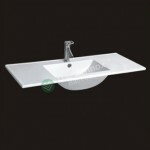 Perfect for creating a boutique look in your bathroom.